Shocked into activism by the ACLU's analysis of the Patriot Act II, Mal Chaddock has been involved in social justice issues since 2002, first with Peace Fresno, a group that was infiltrated by the FBI and made international news. After relocating to Portland, OR Mal helped co-found Oregonians Against the Wars and Individuals For Justice (www.individualsforjustice.com) and joined the Portland, OR chapter of Veterans For Peace where he currently serves as vice president. Mal has traveled the nation extensively over the last dozen years supporting endeavors for peace, often accompanying Peace Mom Cindy Sheehan on her journeys in the USA. Most recently he's been active in helping found and support NoNukesNW and RadCast.org as well as Don't Shoot Portland. Who was responsible for the crimes of 9/11? Osama bin Laden and nineteen, young Islamic terrorists? Or is there evidence pointing towards other suspects who should be investigated? To discuss this question, we are joined by Kevin Ryan, author of the book Another Nineteen: Investigating Legitimate 9/11 Suspects, and co-editor of the Journal of 9/11 Studies. Never let it be said that the military industrial complex does not heavily rely on 9/11 to continue and thrive. The testimony of Norman Mineta is widely discussed and known at 911blogger. For example "Mineta's Testimony CONFIRMED". Here is another oddity surrounding the 9/11 attacks. Two new entries in the Complete 9/11 Timeline reveal that a New York air traffic controller mistakenly reported over an FAA teleconference that the first aircraft to crash into the World Trade Center on September 11, 2001 was a helicopter, and this hit the north WTC tower at 8:27 a.m., almost 20 minutes before the attack there actually occurred. 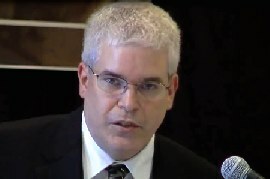 Aidan Monaghan of 911Blogger.com joins The Corbett Report to discuss his tireless efforts to uncover government documents about 9/11 via FOIA requests. We discuss some of the information he has uncovered and how others can follow in this fruitful area of research. A study, which is based on the official FBI documents issued on 11/09/2001, show how UAL and the FAA were tracing two different flights, but both were identified as "UA 93". 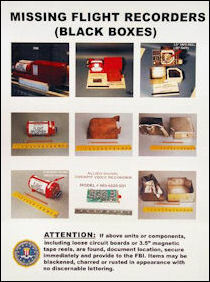 The study contains also analysis of documents issued by FBI, LAU, NTSB and 9/11 Commission published after 9/11. Quote article: "One of the three who received his FAA licenses this year, Yeslam bin Laden, a half-brother of Osama who lives in Geneva, Switzerland, is named in a civil lawsuit brought by the families of 9/11 victims alleging he helped to finance Osama's al-Qaeda network as it started up in the 1990s in Yemen and the Sudan." At least 12 members of Osama bin Laden's family currently hold Federal Aviation Administration pilot's licenses that make them eligible to fly aircraft anywhere in the United States, including three who received their licenses just this June, according to an analysis of FAA records provided to ABC News by a computer security firm, Safe Banking Systems.